Vasile is cooking ciorba among the reeds on the banks of the Danube, barely a kilometre from the point where the river reaches the Black Sea. His friend Mihai is chopping potatoes while a few youngsters are preparing the vegetables, eagerly awaiting the feast. They talk, they drink, they listen to the frogs, the smell of the simmering broth lingering in the spring air. A colleague, exhausted by a fishing shift, is snoozing in his boat in the shade of a willow. Traditionally, local fishermen established semi-permanent bases in this swamp — little more than reed huts — away from the villages and from their wives, where they could rest during the fishing season and socialise with their peers year-round. Now, outsiders are invited to join in, in an attempt to combine fishing, tourism and conservation. 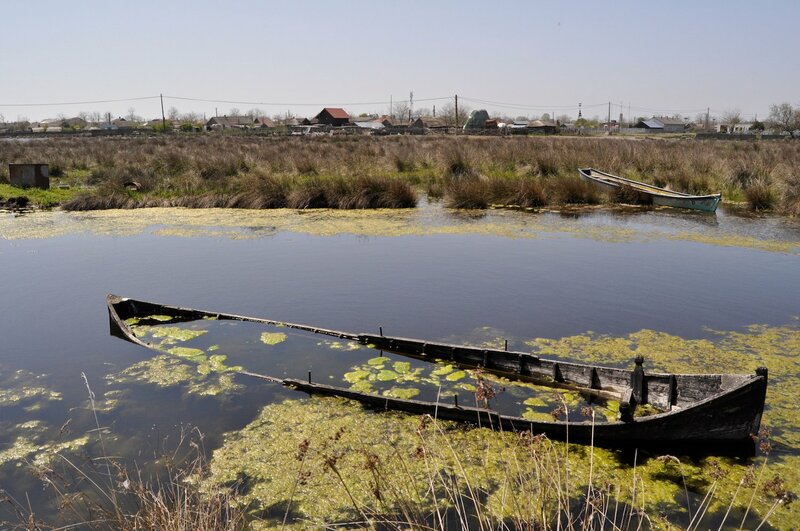 The village of Sfântu Gheorghe is the largest in the Romanian Danube Delta, though this does not make it accessible. The mighty Danube river, the second longest in Europe and the most international on Earth (it traverses 10 countries), forms a sprawling delta upon meeting the Black Sea. There, it splits into three main branches: Chilia to the North, forming the border between Romania and the Ukraine; Sulina in the middle, the first branch to be dredged and, via Sulina port, the only way for seafaring ships to enter the Danube; and Sfântu Gheorghe in the South, a meandering river in its own right ending, eventually, in the sea. There where it ends, the village of the same name begins. Between these three fingers of the Danube its delta is a maze of channels and lakes, a land so dynamic that its maps can change monthly. 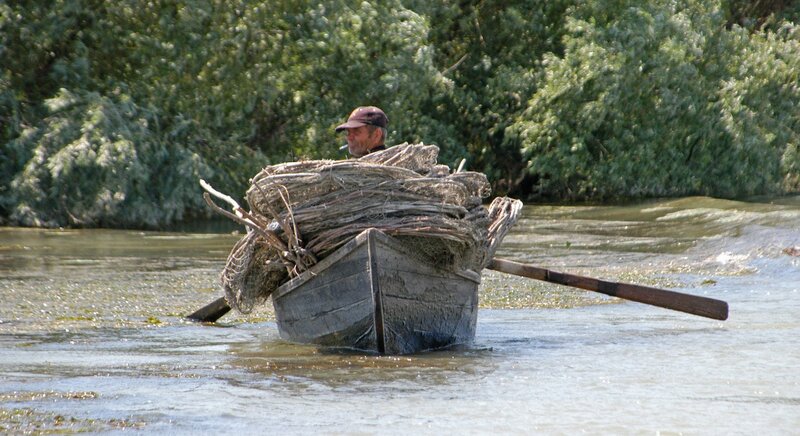 Far from being a place of natural beauty and complexity alone, the Danube Delta carries a tremendous cultural heritage, multiple ways of life adapted to a liquid, shifting space. It is a territory of singular tastes and sounds, one of the only spaces left where the human voice registers as one among many animal voices. The humans of the Delta, a stubborn and warm people of many ethnicities speaking several languages, have transformed the wetland from a natural wonder into a human ecological creation. This is a land of water and burning reeds, a human Delta teeming with animal denizens. Sfântu Gheorghe used to sit on a series of sand dunes that ran parallel to the Black Sea shore. During communist times it was saved from being alternately flooded and covered in sand by the building of a dike system that today surrounds it. Its streets remain of sand, as do its rose and tomato-filled gardens. There are few cars in the village, as they are mostly useless in a place that has one road connection, to Sulina (40km along a bumpy dike); all the meaningful access points are by water. 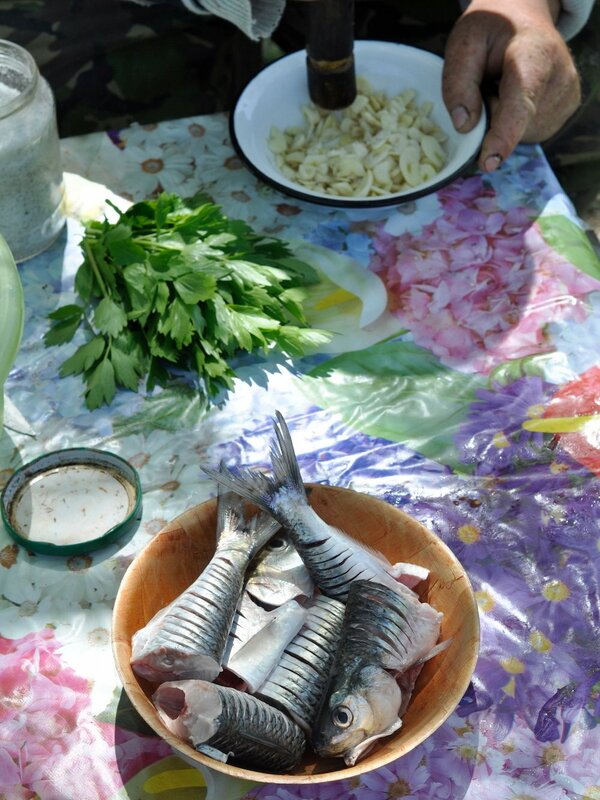 Because of its position in the littoral side of the Delta, Sfântu Gheorghe has developed a unique culinary tradition around migratory species of fish (sturgeon, pontic shad), both fresh and saltwater. The village used to be at the centre of the Romanian caviar industry, now defunct. From the outside the Danube Delta looks like one thing, but from within it is split into myriad different self-contained worlds. The interior of the swamp has areas of dunes and oak forest, with surrounding villages that live a completely different life than in the port of Sulina or in a coastal village. The image of the Delta as a monolith is a sign of how little known it actually is. 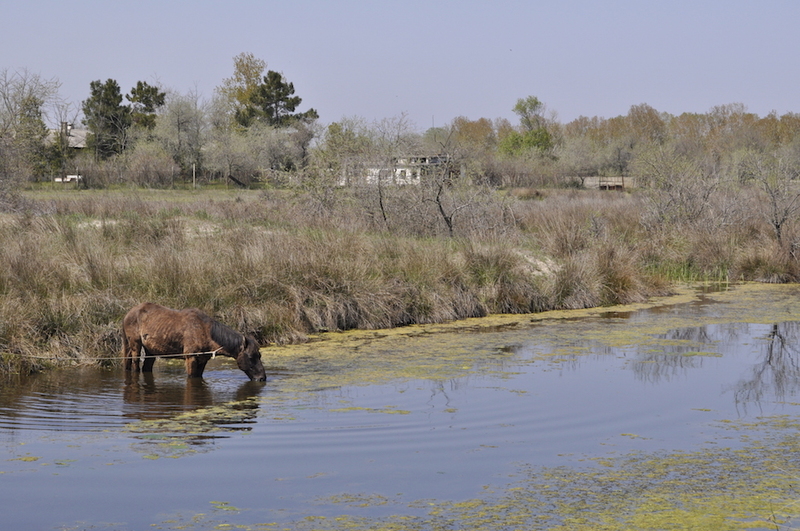 In Romania, everyone knows that the Delta exists, but few manage to experience its diversity. Myths abound. There are usually three things everyone that knows nothing about the Delta agrees on: that it is magnificent, that it is home to the Lipoveni (an old Russian Orthodox people) and that most people there are perpetually drunk. As it turns out, none of these things are true. The Delta can be considered “magnificent”, but what is usually meant by that is that it is an untouched wilderness. Nothing could be further from the truth. Over the last hundred years, thousands of channels and dikes have been built throughout the wetland, in successive waves of state intervention in the name of resource exploitation. 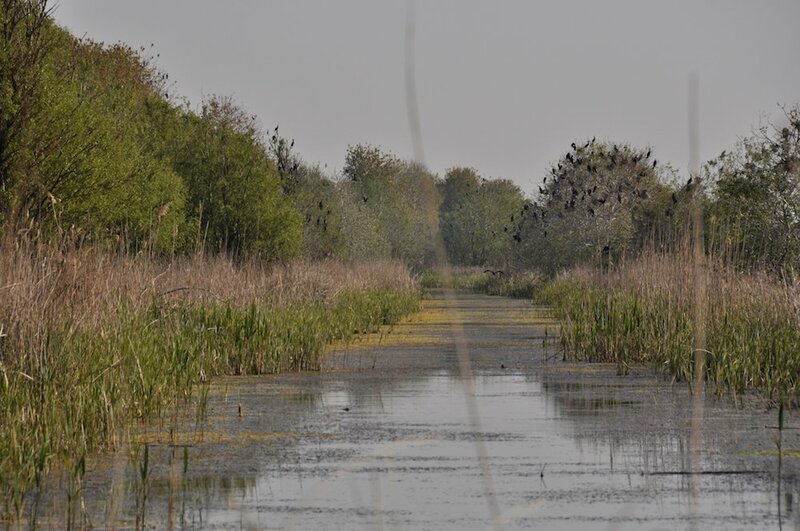 It all started in the late 19th century, when the Danube Delta was the home to the pan-European Commission of the Danube. This organisation administered the Delta from 1856 to 1939 and was responsible for the first dredging works, aimed at allowing ships carrying cereals to enter the Danube through the Sulina branch. The port of Sulina therefore developed into a swamp town with Greeks, Romanians, Armenians, Jews, Turks, Russians and Ukrainians, Austrians and Frenchmen. After the Second World War this ethnic diversity was vastly reduced, and the engineering impulse vastly expanded. In order to reach the reed reserves (the largest in the world) and the fish stocks within, the communist regime dedicated immense effort to the building of channels to connect distant lakes and dikes, to make the water do things it otherwise wouldn’t. Those living in the Delta throughout this tumultuous history always managed to scrape a living from the challenging environment. Nowadays, there are Old Russian Orthodox (Lipoveni) in some villages, but the majority of the inhabitants of the inner Delta are either Romanian or Ukrainian. Calling themselves haholi, the Ukrainian population is culturally distinct from the Lipoveni or the Romanians, though officially all three groups are citizens of the same state. They speak the Ukrainian language, beautifully mixing it with Romanian. And though alcohol is as present here as anywhere else around the world, the bad reputation of these populations is clearly born out of ignorance. The people of the Delta are above all resourceful, funny, hospitable and astonishing cooks. Part of the reason for the general mythology of the Delta is that it is hard to reach, and hard to know what to do when you’re there. Unless you have some local guide to show you around, it is very hard to move (you always need a boat), or even to know where to go in the labyrinth of channels. For anyone interested in more than sports fishing, it is hard to gain access to this unique way of life. This does not mean that there is no tourism. In fact, seasonal tourism can reach unsustainable proportions. In the summer months, Sulina and Sfântu Gheorghe are assaulted by tourists looking to lounge on their spectacular beaches and to eat the fish delicacies the locals prepare. Other villages, like Letea in the heart of the Delta, never see much tourism due to very real logistical limitations, like the lack of drinkable water or a sewage system. Lately initiatives have sprung up that are trying to change how the Delta is perceived, by allowing visitors to get to know more of its natural rhythms and human ecology. 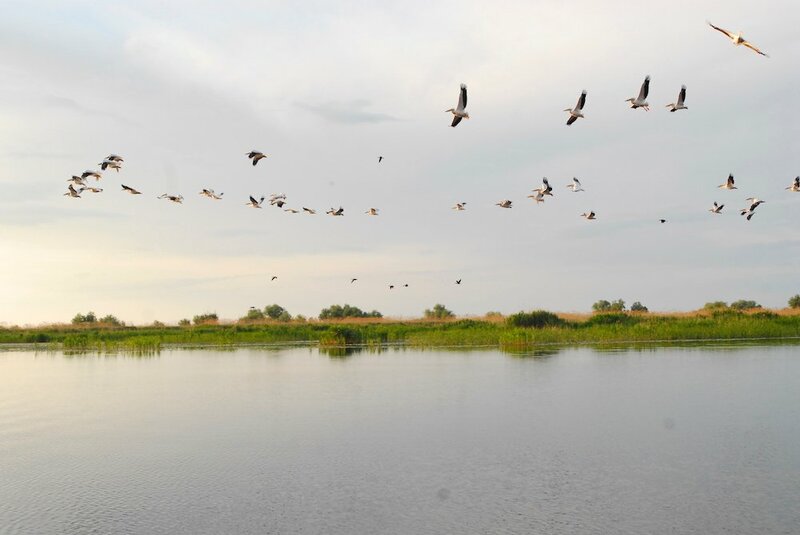 Trying to transform the mass tourism of the summer months into a more diluted trickle of visitors spread throughout the year, Danube Delta Life offers travelers the opportunity to stay, dine and be shown around by locals. This is one of the first initiatives to combine tourism with conservation both cultural and natural. Understanding the Delta as an artful creation of clever humans interacting with a dynamic environment, they offer travelers the chance to see some of the defining features of this unlikely land. One of these is the fish soup (ciorba de peste) that Vasile is preparing. This is a local staple, like pasta in Italy or bread in France, and therefore no meal is complete without it. But what sets it apart, besides the incredible richness of taste and the astonishing variety between soups themselves, is the history of its creation and how that history is very much alive every time it is eaten. Other recipes have similarly full and interesting histories. And though this is the case in many places with culinary traditions, in the Delta one has the feeling of the tradition being alive, and not just a show or an affectation. In the pre-outboard engine days of fishing, fishermen would form brigades that undertook expeditions lasting weeks. 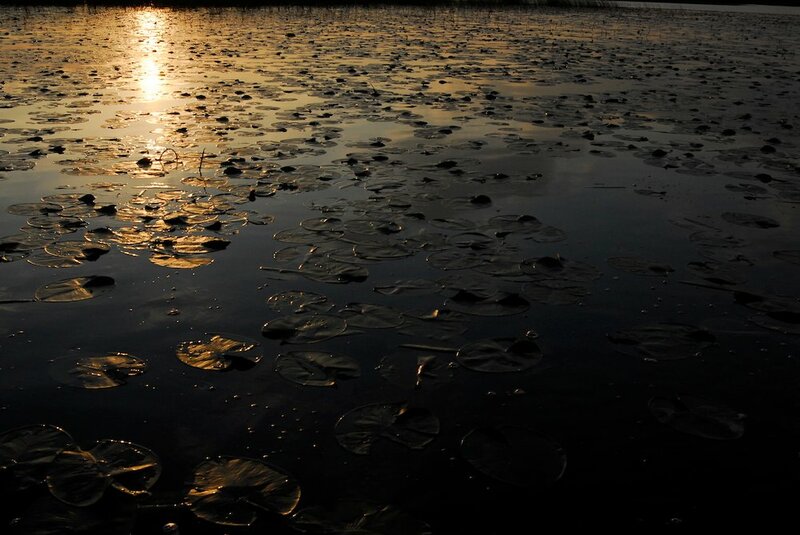 In the wooden caiuc blacked with tar they would set off for fishing grounds far from the village. Anywhere you went from Sfântu Gheorghe you would be rowing against the current, so traveling light was the clever thing to do. 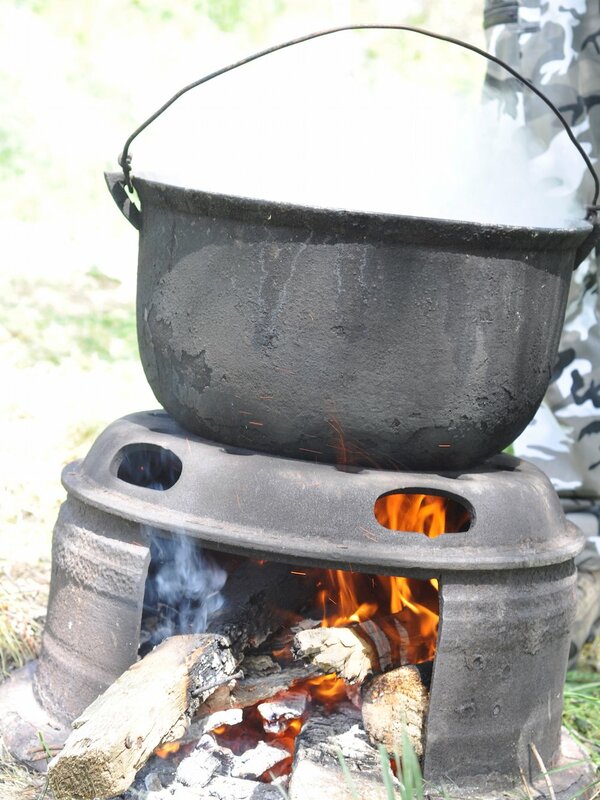 Each member of the brigade would therefore bring the bare minimum to survive the trip, and this in practice amounted to what was available in the village and wouldn’t spoil on the way: potatoes, peppers and onions. A preserve made from a couple of tomatoes was the lone delicacy worth bringing on board. With these provisions, and the catch from each day, the fishermen would feed themselves along the way. 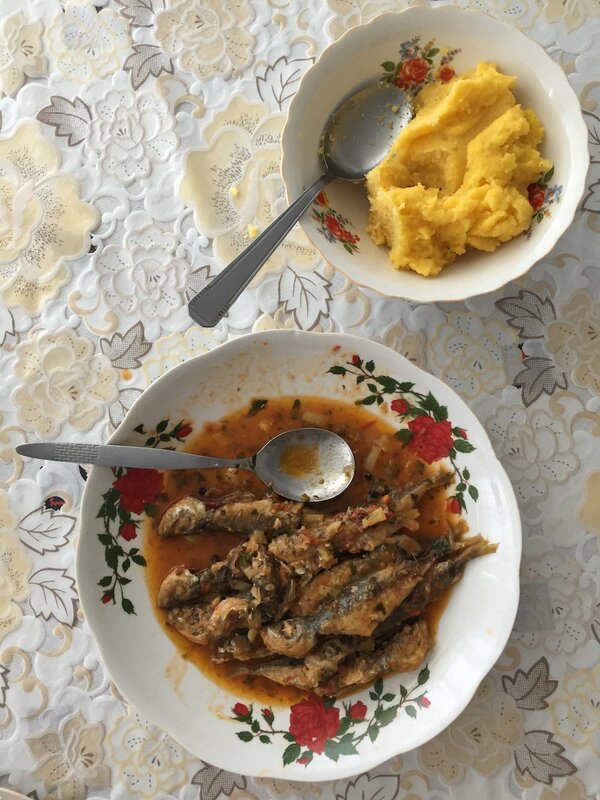 The culinary ingenuity of the Delta people is there to taste in this fish soup. The fishermen could have simply grilled their fish every day, but the soup had several important advantages. Made in a huge cauldron over an open fire, it warmed people up after a day of work. To this day, it is served in two rounds. First, the fish is eaten. Then, the broth. This effectively means that, away from home and with minimal provisions, the fisherman would enjoy a two-course meal. Though there is no need to keep making the soup this way today, it is still respected and eaten in the same fashion. And God help anyone who dares to add carrots.